Welcome to the website for the Asian Association of the EMS. We are an Asia-Pacific community focused on the research of the environmental factors interacting with genomes. Currently, eight Asian EMS societies from China, India, Iran, Japan, Korea, Philippines, Thai and Australia are members of AAEMS. Asia-Pacific region with more than 50 countries is considered the largest continent fostering a unique concoction of different cultures, customs and economy. From developing nations to the developed, we face diverse environmental and health problems. The aim of AAEMS is prompting research activities and exchanging up-to-date information and resources to prevent diseases arising from these problems in Asia-Pacific region. We have Asian Congress on Environmental Mutagens (ACEM) as one of AAEMS activities. The last ACEM was held on December, 2017 in Incheon, Korea, which was the joint meeting of International Conference of Environmental Mutagens (ICEM). The ICEM/ACEM was successfully ended due to the great effort of Dr. Hoonjeong Kwon, who was the president of AAEMS as well as the host of the ICEM/ACEM. Administration of AAEMS is vested in the Executive Committee. The Executive Committee consists of presidents of member societies, and a few additional society members. The molecular and experimental pathology society (MEPSA) of Australasia has recently joined to AAEMS, making a total of eight national societies encompassing the Asia-Pacific region. The AAEMS exchanges and promotes up-to-date information and resources related to the Society's field of interest and issues concerning Asia-Pacific countries communities. 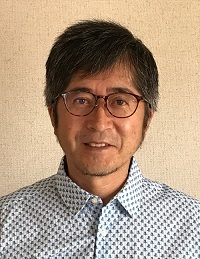 The President of AAEMS was Takehiko Nohmi (JEMS) from 2006 to 2009; Malyn Chulasiri (TEMS) from 2010 to 2011; Jia Cao (CEMS) from 2012 to 2013; Ashok Giri (EMSI) from 2014-2015, Hoonjeong Kwon(KEMS) from 2016-2017; Masamitsu Honma (JEMS) from 2018-2019. The 8th executive committee of AAEMS was held on November 15, 2017, in the room #109 in Songdo Convensia Inchon, Korea, when the 12th ICEM and 5th ACEM were held. The photo shows the participants. From left to right: Yukari Totsuka (JEMS), Masami Yamada (JEMS), Masamitsu Honma (JEMS), Ashok Kumar Giri (EMSI), Hoonjeong Kwon (President of AAEMS, KEMS), P. K. Seth (EMSI), Jun Yang (CEMS). More detailed information is shown in the minute (PDF file). 7th Executive committee meeting of AAEMS was held in December 11, 2014, in Kolkata, in India. The 7th executive committee of AAEMS was held on December 11, 2014, in a meeting room, CSIR- Indian Institute of Chemical Biology, Kolkata, India, when the 4th ACEM was held. The photo shows the participants. From left to right: Masami Yamada (IAEMGS/JEMS); Jun Yang (CEMS); Michael Fenech (IAEMGS/MEPSA); Takehiko Nohmi (IAEMGS/JEMS); Hoonjeong Kwon (KEMS); Ashok Kumar Giri (EMSI); Masamitsu Honma (JEMS); Yasunobu Aoki (JEMS); Jia Cao (CEMS) More detailed information is shown in the minute (PDF file). The 6th executive committee of AAEMS was held on November 3, 2013, in IGUACU III, Bourbon Convention and Spa Resort Cataratas do Iguassu, Brazil, when the 11th ICEM was held. The photo shows the participants. From left to right: Young-Rok Seo (KEMS); Kyung-Chul Choi (KEMS); Myung-Haing Cho (KEMS); Young-Joon Surh (KEMS); Ashok Kumar Giri (EMSI); Masami Yamada (JEMS); David M. DeMarini (EMGS); Jia Cao (CEMS); Masamitsu Honma (JEMS); Takehiko Nohmi (JEMS); Sepideh Arbabi Bidgoli (IREMS); Hiroshi Kasai (JEMS); Yasunobu Aoki (JEMS); Keiji Wakabayashi (JEMS) . More detailed information is shown in the minute. The 5th executive committee of AAEMS was held on October 23, 2012, in Zhejiang Narada Grand Hotel, Hangzhou, China, when the 3rd ACEM was held. The photo shows the participants. At the front raw from left to right, Hai Won Chung (KEMS), Stephano Bonassi (President of IAEMS), Jia Cao (President of AAEMS), Takehiko Nohmi (Secretary General of AAEMS), Hiroshi Kasai (President of JEMS), William Au (CEMS). At the back raw from left to right, Masami Yamada (Treasurer of AAEMS), Byung-Mu Lee (KEMS), Ashok Kumar Giri (EMSI), David DeMarini (EMGS), Sepideh Arbabi Bidgoli (IREMS), Jun Yang (CEMS). Committee members : Malyn Chulasiri (President), Jia Cao (Vice-President), Young-Joon Surh (Vice-President), Takehiko Nohmi (Secretary General), A.B. Prasad (EMSI), Ashok Kumar Giri (EMSI), Yasushi Yamazoe (JEMS), Masami Yamada (JEMS) Observers: Stefano Bonassi (President, IAEMS), Wang Jiaji (CEMS), Young R. Seo (KEMS), Sepideh Arbabi Bidgoli (IREMS), Salmaan H Inayat-Hussain (MTS), Aroonsri Preeprem (TEMS) More detailed information is in the minute. The primary purpose of the ACEM is to provide a means whereby the members may exchange scientific information, discuss their professional experiences, exchange ideas, and acquaint themselves with the scientific progress and technical problems. ACEM was held five times, i.e., 1st ACEM in Japan in 2007, 2nd ACEM in Thailand in 2010, 3rd ACEM in China in 2012, 4th ACEM in India in 2014, and 5th ACEM in Korea in 2017. 5th ACEM was held in November 12-16, 2017 in Incheon in Korea. More detailed information is in the web site http://www.icem2017.org/ . 4th ACEM was held in December 10-12, 2014 in Kolkata in India. The 4th Asian Conference on Environmental Mutagens (ACEM) was held at CSIR Indian Institute of Chemical Biology (IICB), Kolkata, during December 10-12, 2014, in collaboration with All India Congress of Cytology and Genetics (AICCG). The inaugural session was attended by seventy international delegates from Japan, China, Korea, Austria, Germany, USA, Iran, Kazakhstan, Australia, Canada and Belgium along with 150 Indian delegates and students, who participated in this three day international conference. The conference was inaugurated by Prof. Takehiko Nohmi, president of International Association of Environmental Mutagens and Genomics Societies (IAEMGS) along with Dr. Ashok K. Giri, president of Asian Association of Environmental Mutagen Societies (AAEMS). Dr. Giri in his inaugural address gave a brief introduction about the activities and significance of the various environmental mutagen societies in Asia as well as rest of the world. More detailed information is in the report (PDF file) . 3rd ACEM was held in October 2012 in Hangzhou in China. 3rd Asian Conference on Environmental Mutagens (3rd ACEM) was successfully held from October 23 to 26, 2012 in Hangzhou, China. Approximately 350 people participated the conference. They represent 12 countries (Canada, China, Czech Republic, India, Iran, Italy, Japan, Kazakhstan, Korea, Malaysia, Netherlands, and USA). This conference was organized by the Asian Association of Environmental Mutagen Societies (AAEMS) and Chinese Environmental Mutagen Society (CEMS) and operated by Zhejiang Provincial Science and Technology Exchange Center. The Academic Committee Chair is Professor Jia CAO, President of AAEMS (2012-2013), Co-chair is Professor William W. AU. Organization Committee Chair is Professor Jun YANG, Co-chair is Professor Weidong HAO, Secretary General of CEMS. The main theme of the 3rd ACEM is "Environmental Effects on Human Health in Rapidly Developing Asia Countries" Keynote speakers are as follows: Stefano Bonassi (Italy); Kazuo Tajima (Japan); Hongbing Shen (China); Richard S. Paules (USA); Kazuo Sakai (Japan); Wei Huang (China). More detailed information isin the report (PDF file). An exciting photos is here. 2nd ACEM was held in Thailand in 2010. For the 2nd ACEM meeting, three countries wanted to be the host and Thailand (TEMS) finally won the competition. Dr. Malyn Chulasiri (TEMS) announced to hold the 2nd ACEM in Thailand in 2010. 1st ACEM was held in November 2007. Environmental Mutagens (1st ACEM) on November 29 and 30, 2007 in Kita-kyushu in Japan in conjunction with 36th annual meeting of Japanese EMS (photo 1).Professor Hiroshi Kasai was the meeting president. More than 400 people attended the meeting and about 70 of them came from outside of Japan mostly from Asian countries. The oversea participants were not only from the AAEMS member countries but also from Malaysia and Taiwan. English was the official language throughout the conference. In the first day, two symposia and one workshop were held. The symposia were "mechanisms of environmental mutagenesis and carcinogenesis including oxidative stress" and "mutagen & anti-mutagen in Asian foods" and the workshop was "ICH revised guidance on genotoxicity testing". Poster session was also held with more than 100 posters. The quality of presentations was high enough to invoke active discussion. In the second day, Dr. Brooke T. Mossman, University of Vermont U.S.A., gave a timely plenary lecture of "asbestos-induced inflammation and carcinogenesis; role of oxidative stress and cell signaling pathways". After the plenary lecture, platform session was held for oral presentation where the speakers were selected among the poster presenters. 1st ACEM has been successfully ended in the afternoon of November 30.